Carpentras, his first driving experiences were at the age of seven in a Renault (of course!) 4CV van. He progressed to the family tractor and, when he was 14, drove one to win a local driving test. Upon leaving home, he started driving a delivery truck for his brother-in-law, and to this day he ascribes his ability in faster vehicles on Alpine roads to these experiences. 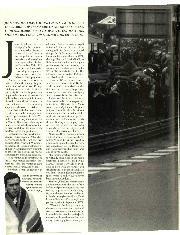 His first taste of true motorsport was a local treasure hunt in 1967. 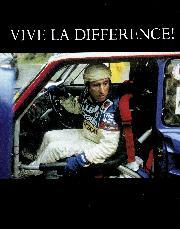 He then acquired a Renault R8 Gordini and did the Rallye Vaucluse, the national championship event of his area. He finished sixth, best novice. In 1969 he won his class on Mont Ventoux in his brother-in-law's Lancia Fulvia. Frank Alesi, father of you-know-who, then lent him his NSU after an eleventh-hour indisposition before the Rallye Vaucktse; Jean finished fifth and won Group 1.
second place in the French Rally championship behind Jean-Claude Andruet's all-conquering Alpine. In September 1970 Henri Greder invited Jean to become a works driver for GM France. The season started well with a win in Group 2 with a Kadett on the Monte Carlo, but 1971 was not to be a year full ofjoy. 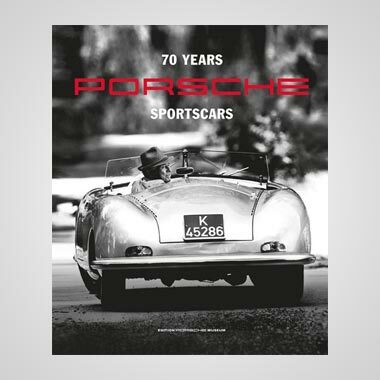 It started to go wrong when he was passing Claudine Trautmann's works Lancia on a stage: "The road was wide enough as long as I touched a snowbank. I didn't know that was hiding a ditch. The rear wheel went in and we went over onto the roof. We still had the speed and went past Claudine but, when you are on the roof, you can do nothing!" During the summer Jean accepted an offer from Cesare Fiorio to drive a Fulvia on the Targa Florio. His co-driver was Claudio Maglioli and their teammates were Sandro Munari and Raffaele Pinto: "I was quick in practice, but I never got to drive in the race. Munari and Maglioli started and both engines had the same oil problem and retired." An Ascona now replaced the Kadett. Monte Carlo saw Jean ninth overall, first in Group 1, and third overall on the Olympia Rally. He then drove an Alfa Romeo 2000 GTV in the Spa 24 Hours alongside works driver, Andruet Jean qualified ahead of all the other BMWs and Alfas, and ahead of a lot of the Group 2 cars into the bargain, and finished 10th overall. With no offers of a substantial contract in rallying, Jean now decided to try a full programme of racing: French Formula Three, with sponsorship from a fuel company, Antar. He invariably finished in the top 10 and had one race win, but since this activity was mainly in the summer, he couldn't resist topping and tailing the season with a few rallies. He had a drive for Renault in an R12 Gordini on the Monte Carlo, and had the satisfaction of beating the best Group 2 Opel, driven by Anders Kullang. This was also the year that his film work began: "It is very interesting. The tasks you have to do are never the same. One time you may have to do a stunt at 50Icrn/h and the most essential thing about it is to stop just one metre from the camera. 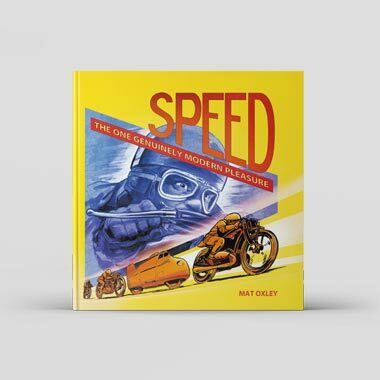 It is not all a matter of doing multiple rolls at high speed. You have to be precise. Film directors are like racing managers, they don't like it if you crash unnecessarily." 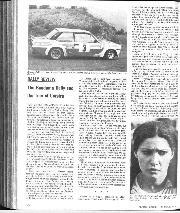 Jean got a Renault contract to go rallying in 1976, initially with an A110 and then an A310. 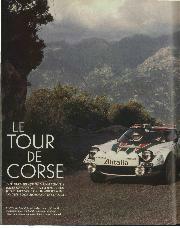 The bright spots were chasing Munari's Stratos in Portugal (he was six seconds behind when he retired), and leading the Acropolis before breaking a driveshaft The remainder of the year saw him retire on the Tour de France, in Corsica, and on the RAC and Ivory Coast But he did win again in New Caledonia. And his performances convinced Renault that he was the man for their 1977 rallycross programme with the A310. They were right. He won everything and was French champion. 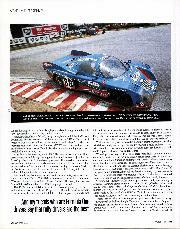 He drove at Le Mans again, too, sharing an Inaltera with Jean Rondeau, finishing fourth to win the GTP category. At the end of the year, Renault homologated the R5 Alpine and Jean drove one on the RAC Rally, where he was lying second in Group 2 before breaking a driveshaft Then came the 1978 Monte Carlo Rally. Jean-Pierre Nicolas won in a Porsche, but not before he had had to brush aside the two leading cars, Jean Ragnotti and Guy Frequelin in factory R5 Alpines. Jean finished second, a dream result for the little front-wheel-drive machine: "We had some tyre problems, and one time I took an R16 wheel off a service car and ran with that on the rear. We had such fantastic support from the French spectators. I went off in a hairpin and a guy had his leg broken. But he was so pleased that he came all the way to the finish so that I could sign the plaster cast." 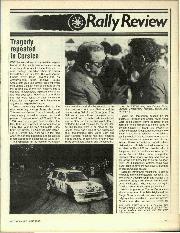 Rallying was again in the ascendant and the R5 was Jean's machine. Circumstances were not so favourable in other rallies as they had been on the Monte, but on the Ivory Coast Rally he showed what he and the little car could do on the rough by finishing third. There was more of the same in 1979: fourth on the Acropolis showed that his gravel talents were not lacking, while an amazing considering the power of the R5 second in Corsica showed that he was equally at home on Tarmac. 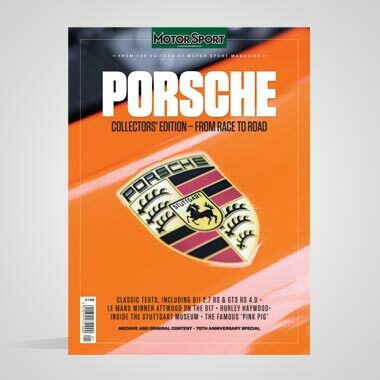 At the same time, he added two more Le Mans episodes to his CV: fourth with Frequelin in an A442 Turbo in 1978, fifth in 1980 sharing a Rondeau with Bernard Darniche. We did that stage on racers. One place, I spun and could not get started uphill, so we reversed back to find a dry patch to start on." 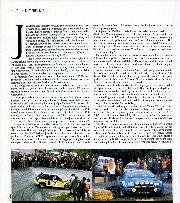 Renault did not have a full rally programme, but Jean did the RAC again and finished fifth. 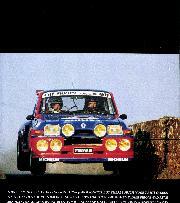 He also contested the majority of the R5 Euro Cup races, of which he won a couple and was second in the championship. At Le Mans, he was with Jean-Louis Lafosse in a Rondeau M379C. Jean started and was lying third before his first pitstop. Then Lafosse had a blow-out at high speed and was killed in the ensuing crash. Jean's final Le Mans outing was in 1982. He shared a Rondeau with Henri Pescarolo again, and though the engine failed at mid-distance, Jean had the fastest lap to his credit: "I didn't have a proper seat. Pescarolo had swapped cars just one hour before the start and there was no time to change the seat. I had to sit on a sheet of foam and my back was soon hurting. Perhaps that's why I did that fastest lap, so I would be sooner back in the pits." A story told with the trademark Ragnotti smile and twinlding eyes. 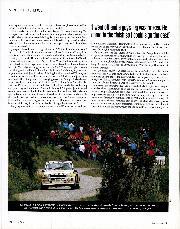 third in Corsica, but a road accident at the end of the season meant he was out of commission until the R5 Maxi Turbo made its debut on the 1985 Touraine Rally, where he finished second. Better was to come. He won Corsica, having led all the way, and then added Ypres and the Tour de France to his laurels. With no 4WD rally car in Renault's planning, their programme started to wind down, and Jean was approached by Peugeot. But he preferred to stay with Renault, and started doing touring car racing in the production class with an R5 Alpine Turbo and then an R11 Turbo. 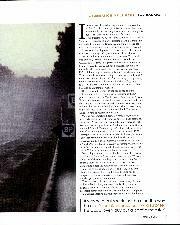 When GpB was swept aside for 1987, there was a flicker of renewed interest from Renault. They did not immediately realise that Lancia, Toyota, Mazda and Ford would join Subaru in building 4WD cars in sufficient quantities to make that characteristic essential. For a season, they tried hard with a brace of R 11 Turbos for Ragnotti and Francois Chatriot The best result came in Portugal, Jean setting seven best times to finish second behind Markku Alen's Lancia. It was good going, but Renault could see that they were going nowhere with 2WD. They produced their own prototype, the R21 Turbo 4x4, and entered Jean in the French Supertourisme racing series which, naturally, he won.